“In the beginning there was Nothing. This was not the nothing of the Void, for that is unchanged, unchanging, and unchangeable. This Nothing was the source of all, but first it was empty and alone. After uncountable ages, Nothing realized it was alone, and it became afraid. This created a third of the world. Then Nothing longed for a companion, and this longing created another third of the world. Then Nothing realized what it had done and regretted fear and longing, and the last third of the world was created. Then there was no more Nothing, and in its place was the world.” So it is recorded in the historical writings of the learned Imperial Scribe Miya Chinatsu. 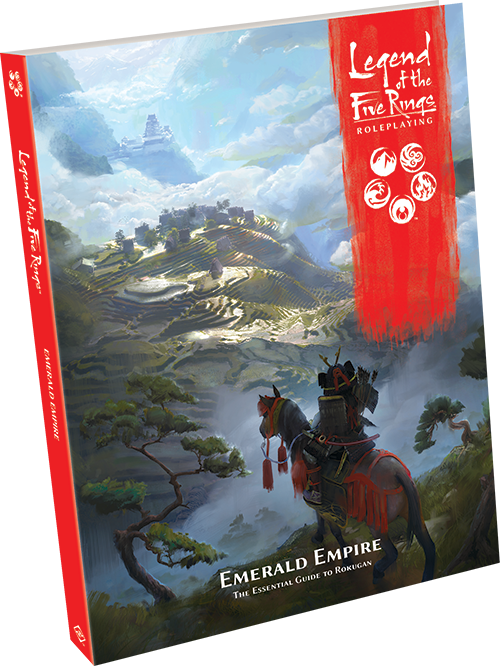 The world of Legend of the Five Rings is yours to explore—and build—in Emerald Empire, the essential setting sourcebook for the Legend of the Five Rings Roleplaying Game. In this article, we’ll take a look at some of the tools the book offers to Game Masters in particular, including background information on the setting’s history and cosmology, worldbuilding resources, and details to make the setting come alive! The Rokugan known to samurai has been forged over one thousand years of history. For the first time since the debut of the Legend of the Five Rings: The Card Game, fans can now read the chronicle of the Empire’s founding, the evolution of its arts and culture, and the scars left by its greatest wars and schemes. But the story begins even earlier, in the Age of Heaven and Earth, the creation of the world, and the reign of the Five Ancient Races. After the descent of the Kami, the War Against Fu Leng was fought and won, ushering in the so-called “Thousand Years of Peace.” The first war between Great Clans, the Gozoku Conspiracy, the attack of the Maw, and the Rise of Iuchiban all marked periods of turmoil and change in the Empire despite the nominal “peace.” More recently, the “flower of sleep and dreams” has transformed urban life in cities such as Ryokō Owari, and the heresies of the Perfect Land doctrine have taken root among the downtrodden. To explore different campaign tones and balances of power, a GM could easily set their stories in one of these different time periods. Equally important to Game Masters, as well as to players of devout and spiritual characters, is the cosmology of the setting: the layout of the Spirit Realms, from the Heavens above to the hell of Jigoku below. Where does a soul go when it dies? What strange creatures dwell in the magical spaces that exist beside our own? What wisdom can be found by the dreamwalkers following the Path of Dreams? 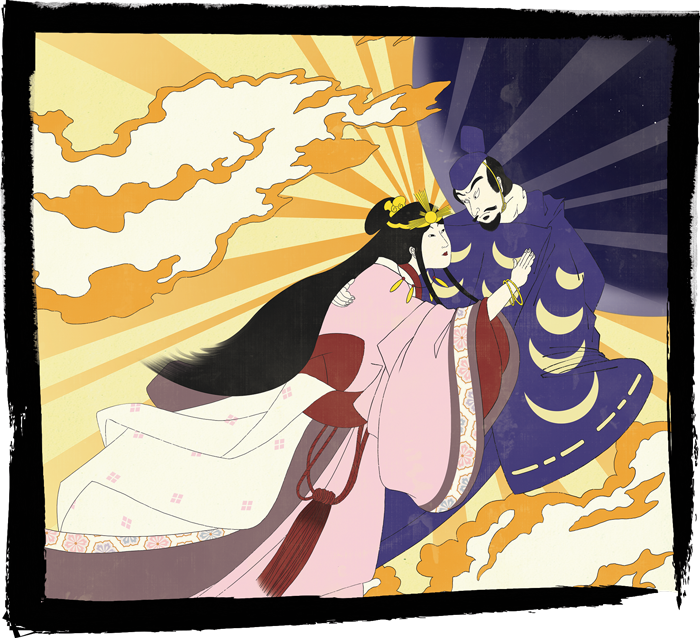 Is it true that mortals can ascend to Heaven with breathtakingly rare nemuranai known as sky ladders? GMs can find the answer to these questions and more in Emerald Empire, lending inspiration to create entire campaigns based on some of the possibilities. 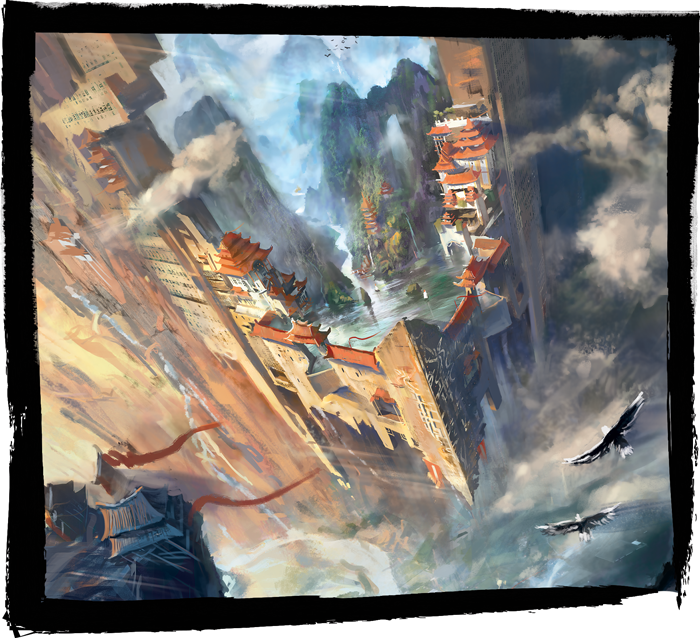 Over the course of a Legend of the Five Rings Roleplaying Game campaign, players will visit all manner of locales, from grand palaces and fortified castles, to bustling cities and shady harbors, sacred shrines and serene temples, and into the wilderness beyond. Emerald Empire offers Game Masters all the tools they need to create their own fantastic locales, diving into the way these places grow and develop. By understanding the economic underpinnings of the different locations—as well as their cultural, governmental, or religious importance—you can bring the world of Rokugan to life. Emerald Empire digs into the reasons why castles are built where they are, their major architectural features, who’s who in a castle or castle town, and how different courts are structured and governed. This information is often essential if you’re planning on running campaigns centering on politics and intrigue. Cities get a similar treatment, inviting GMs to consider the goods exchanged at the trading hub, the different districts that might develop, how river and sea ports might differ, and how the different strata of people interact when living so close to those of other castes. The book also explores the roots of villages, the essential crops and resources that are farmed or foraged in Rokugan, how taxes are collected and laws are enforced, and the environmental catastrophes that every peasant fears. Roads, rivers, and waystations are the vital connections between these places, each with their own rules, which must be respected by those samurai given leave to travel. Finally, the book explores the typical features of shrines, temples, and monasteries, and its chapters detail Rokugani beliefs, traditions, and taboos. The signs of heretical cults, malicious Fortunes, and forbidden rituals can be found, too, if one knows how and where to look. New titles tied to the roles of samurai in different locales help players and Game Masters explore the mechanics and themes of that place, as well as underscoring the style of the campaign. 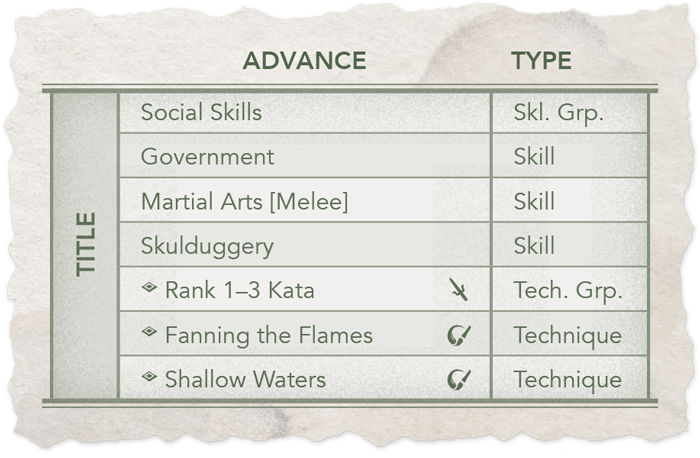 GMs can bestow these titles to players as the campaign’s narrative unfolds, allowing the group to acquire a more specialized skillset to fulfill their duty to their lord. Although each school brings its own unique talents to bear on an investigation, yoriki (assistants and deputies to Clan and Emerald Magistrates) must be able to hold their own in a skirmish, as well as navigating the complex currents of government bureaucracies and criminal enterprises. Trained to Take Them Alive, their title ability ensures that yoriki can easily trigger the Snaring quality on weapons and stop criminals before they get away. These tools and resources can help you make your own imprint on Rokugan and craft lush, intriguing locations in which to base your campaigns. What hidden and wonderful places exist between the markers on a map? The answer falls to you. In our next article, we’ll take a look at some of the specific locations highlighted in the sourcebook, as well as the ways Game Masters can use them in their home campaigns! Delve into the secrets of Rokugan and explore parts unknown with this essential sourcebook for players, Game Masters, and fans of the setting alike. 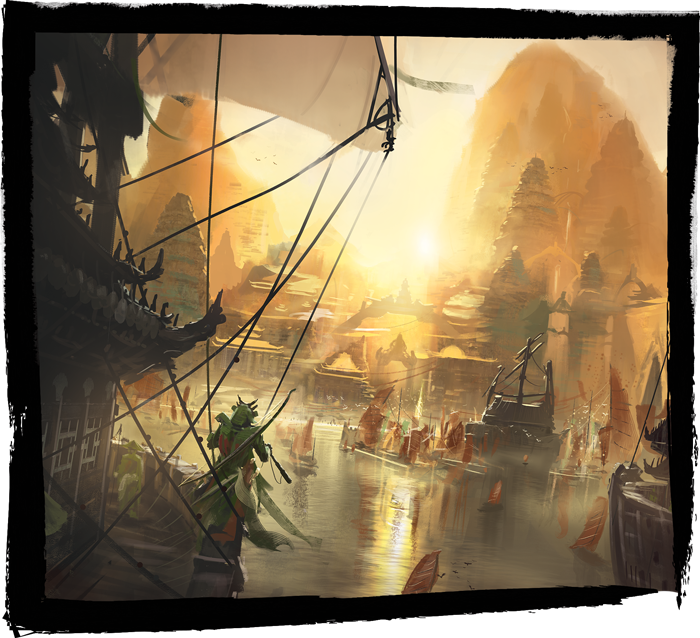 Visit your local retailer or the Fantasy Flight Games webstore to pre-order your copy of Emerald Empire (L5R04) today!